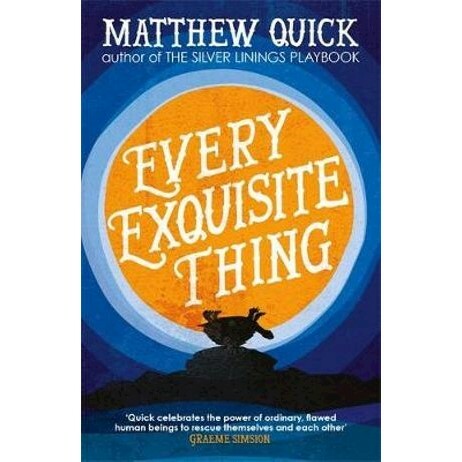 From Matthew Quick, bestselling author of The Silver Linings Playbook , comes Every Exquisite Thing, a quirky and deeply moving novel about a teen's journey through love, rebellion and belonging. For readers who love John Green and Rainbow Rowell. Nanette O'Hare is an unassuming teen who has played the role of dutiful daughter, hard-working student, and star athlete for as long as she can remember. But when a beloved teacher gives her his worn copy of The Bubblegum Reaper - the mysterious, out-of-print cult-classic - the rebel within Nanette awakens. As she befriends the reclusive author, falls in love with a young but troubled poet, and attempts to insert her true self into the world with wild abandon, Nanette learns the hard way that sometimes rebellion comes at a high price. Matthew Quick (aka Q) is the New York Times bestselling author of several novels, including The Silver Linings Playbook , which was made into an Oscar-winning film. His work has been translated into thirty languages and has received a PEN/Hemingway Award Honorable Mention. Q lives with his wife, novelist/pianist Alicia Bessette, on North Carolina's Outer Banks.